No pond is complete without a Hi Fin Banded Shark. We’ve recently started importing these fascinating, peaceful fish from China. As a juvenile, the Hi Fin Banded Shark has striking contrasting colors and an inspiringly high dorsal fin. As an adult, these colors fade. In the wild, this fish can reach up to 39 inches in length; in the aquarium setting they generally reach only 18-24 inches. The Chinese Hi Fin Banded Shark, Myxocyprinus asiaticus, is also known as the Chinese or Sailfin Sucker, Asian Sucker, and Entsuyui. 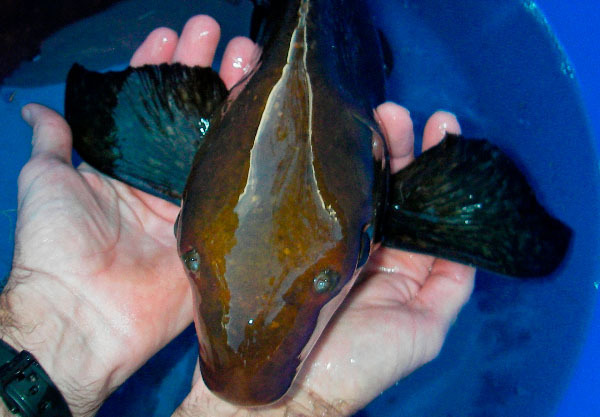 It is considered a true suckerfish, and is named for the absence of teeth in the mouth and a comb-like row of teeth on the pharyngeal bones of the throat. It is thought to be one of the most primitive members of the Cyprinidae family. Due to its its size, the Hi Fin Banded Shark requires more advanced care and handling. Therefore, an pond or water garden with 125 gallons or more of moving, well-filtered, and well-oxygenated water is necessary. 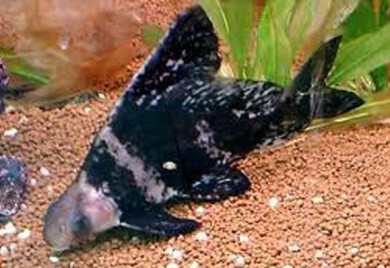 Many people find this species to be an ideal algae eater in the backyard garden pond, as the fish can tolerate temperatures as low as 40 degrees Fahrenheit. Nothing like true sharks, these fish are voracious algae eaters, although we’ve seen them eat floating pellets as well. Call Sunland Water Gardens @ (818) 353-5131 for availability! A leader in Pond Fish for Ponds – Algae Eaters For Ponds! Contact the pond fish experts today at 818-353-5131. 0 Responses to "Pond fish: Algae Eaters: Hi Fin Banded Shark"